I arrived in Turks and Caicos on May 3rd, 2017. I left Toronto Pearson Airport when it was 5 degrees, 4 hours later I came out of the plane at a humid 30 degrees. I was then greeted by fellow rugby colleagues Franco and Achsah. They gave me a quick tour of the island, office, and my townhouse. My first week went by very fast, I met several people, most of whom from the rugby community. The first weekend I was here there was an international match between Turks and Caicos (TCI) and the Dominican Republic (DR). 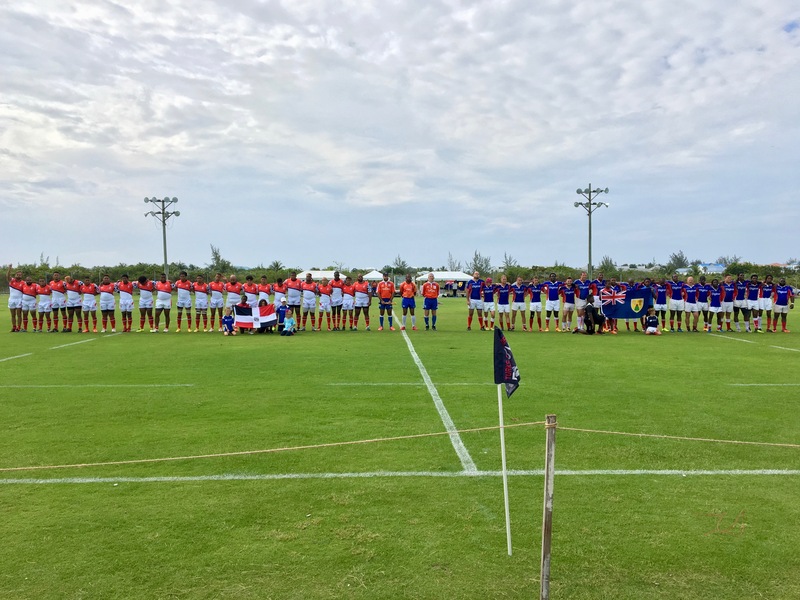 My first job was to be the liaison who coordinated and communicated with the Match Official, Match Commissioner, and Rugby Americas North (RAN) Regional Development Manager Scott Harland for the international match. As the liaison I was fortunate enough to take part in the official match meeting. This was where both teams met with the Match Commissioner to go over the international rules and regulations of the game which took place the following day. 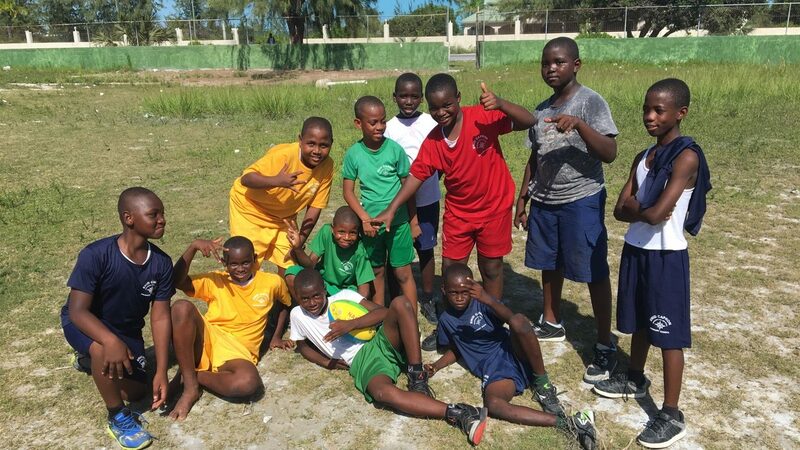 While all of this was happening, I also began my first in school rugby sessions at British West Indies Collegiate. 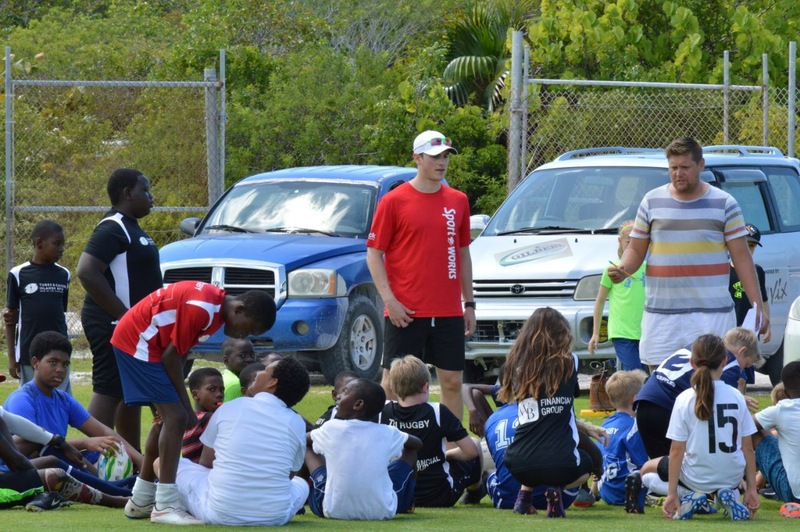 At my first session the kids got to meet and play around with two special guests; international Match Official Jamal Curry and Scott Harland. They were generous enough to share their knowledge, enthusiasm and passion for rugby with the kids. It was also a great experience for me because I was able to learn from them as well. The day of the match everything went according to plan, there was a fairly big crowd which was around 200 people. I was still operating as the liaison, in addition to that I was put in charge of coordinating a few other minor game operations. The TCI national team ended up winning the game 24-15! After the game they made traditional rugby presentations and then proceeded to carry on having a good time at the rugby field until about 11:00 pm. The weekend of May 19-21, the U19 team organized a car wash fundraiser at the Provo Golf Course that raised over 500 dollars! The following weekend we had two more fundraisers: bagging groceries at the local supermarket on May 27th, and a golf scramble tournament May 28th. The next fundraisers that we are working on are a poker tournament, Corporate Challenge, and sponsorships for brand new U19 National team jerseys – their first ever. The endless fundraising events are all in an effort to help fund the team’s trip to Miami for an international U19 rugby tournament. A special project of mine that is also in the works, is to do a school yard clean up at a local school I do sessions at once a week called Enid Capron Primary. The school clean-up will bring the U19 National team into the school to walk alongside the kids who attend my after school sessions to pick up the garbage that infests their field. The students at Enid Capron absolutely love rugby, the kids asked to come in on their lunch times (without consulting their teachers) just so they can play more rugby. 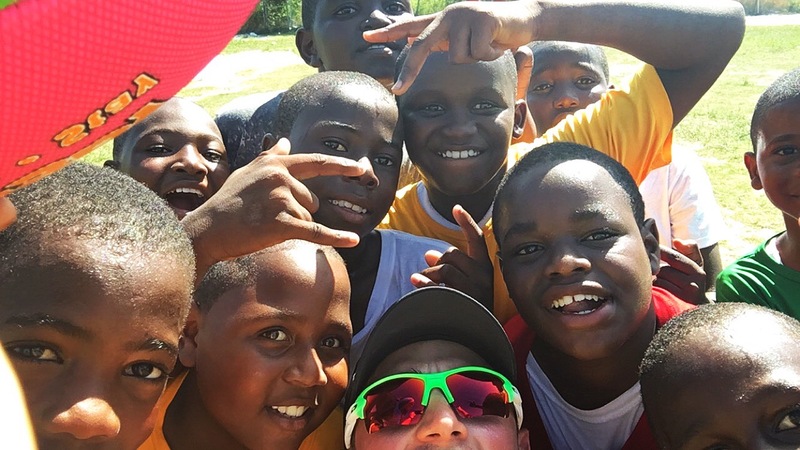 My goal is to give the kids active TCI rugby role models they can look up to and strive to be – all in an effort to create lasting rugby membership. The newspaper is going to cover the story which will hopefully raise the profile of the U19 team on the island to encourage more participation and sponsorship. As for my personal life, I have been trying to take advantage of everything the island has to offer, which means very little down time. I go to the beach at least 2-4 times a week. 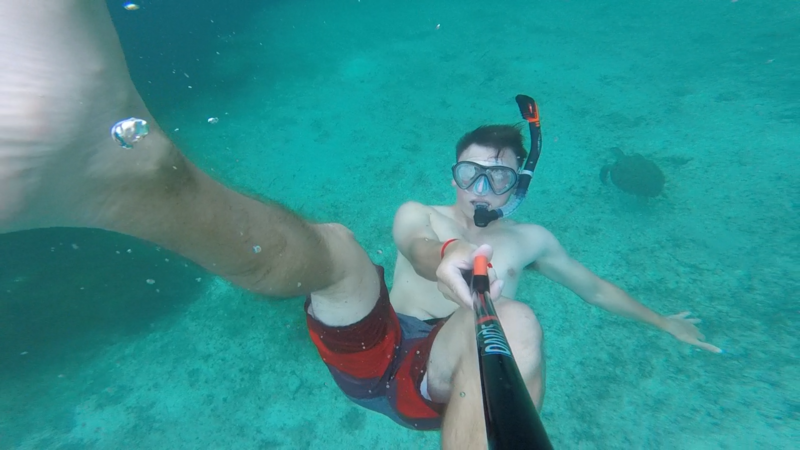 When at the beach I like to go snorkeling, relax in the water or play rugby – the sunsets are amazing. Monday nights I play ball hockey at the local recreation centre, after we play everyone meets up at the only sports bar in town to relax and watch the Stanley Cup Playoffs. Tuesday nights I play beach touch rugby with the men’s national team after work which usually lasts until sunset. Wednesday night is U19s practice and preparation for their upcoming tournament. Thursday night is another beach rugby game with the men’s national team after work until sundown. 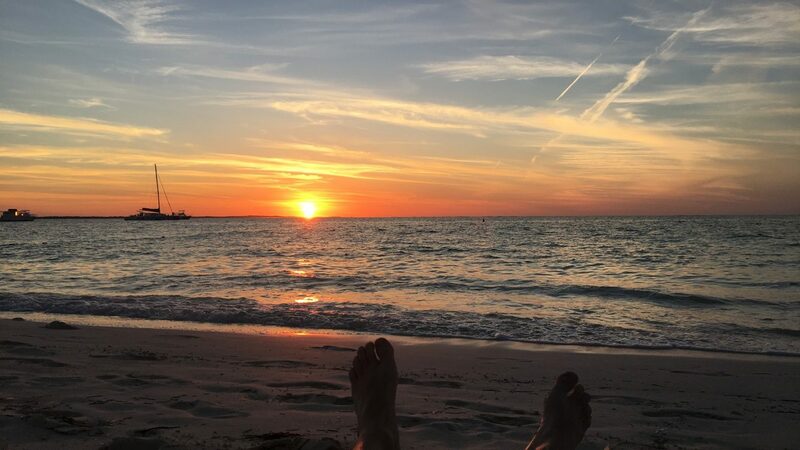 Friday nights will usually consist of basketball games and a sunset beach visit with my roommates – my favorite way to kick start a weekend. Then, Saturday mornings I am in charge of the Youth Tag Rugby League where I referee/coach 8 teams of mixed ages. Sundays I am usually free, but you could probably find me at the beach.